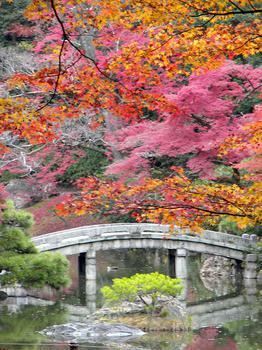 The Sento Imperial Palace in the Kyoto Imperial Park was the complex for retired emperors. The Sento Imperial Palace in the Kyoto Imperial Park was the complex for retired emperors. The main palace building was ravaged by fire in 1854, after which it was not reconstructed. Visitors can tour the excellent gardens and tea-houses.